The first week of the 2012 Summer Olympics conclude today. 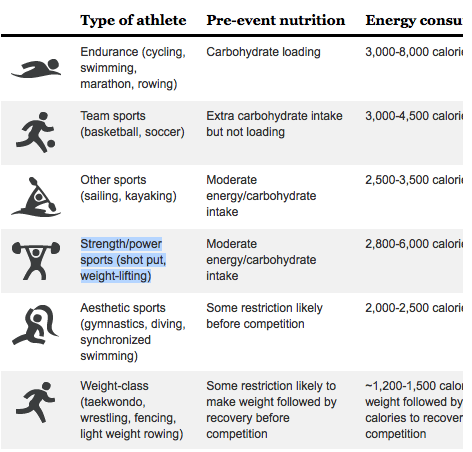 It's been tiring (and inspiring) just watching, but consider how much those elite athletes need to consume in order to meet their energy needs. Well, NPR took a look at the demands of different sports. Happy Friday!